There are many recreation and community activities available locally for seniors. COTA SA provides a range of resources to get you involved in the community, including networking clubs, the peer education resource centre, day trips and volunteering. Contact your local council for Information about programs in your area. ZestFest is held during October every year. 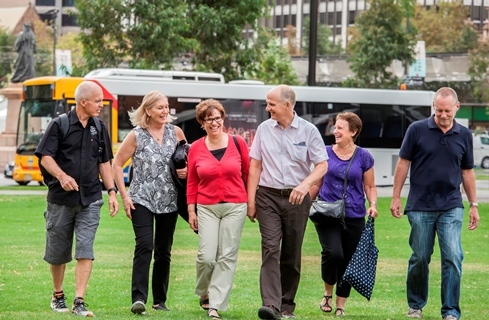 With events and activities for South Australians of all ages to come together and celebrate the achievements of older people. WeekendPlus is a digital magazine for seniors, distributed fortnightly to Seniors Card members. It is also available to view online. The Seniors Card Discount Directory Your Lifestyle Guide lists businesses that offer discounts to South Australian Seniors Card members. The National Public Toilet Map shows the location of more than 14,000 public toilets across Australia. Details of toilet facilities can also be found along major travel routes and for shorter journeys as well. The Strength for Life program provides strength training programs run by accredited fitness providers. Find out what's available in your area through Active Ageing. Tips for older people to become more physically active can be found on the Be Active website. The Centre for Physical Activity in Ageing has a number of health and rehabilitation programs. Information for service providers on programs and services for older people can be found on the Office for Recreation and Sport website. Grants for Seniors and Positive Ageing Development Grants are allocated every year to help older people to be involved in their community and continue participating in activities of their choice.